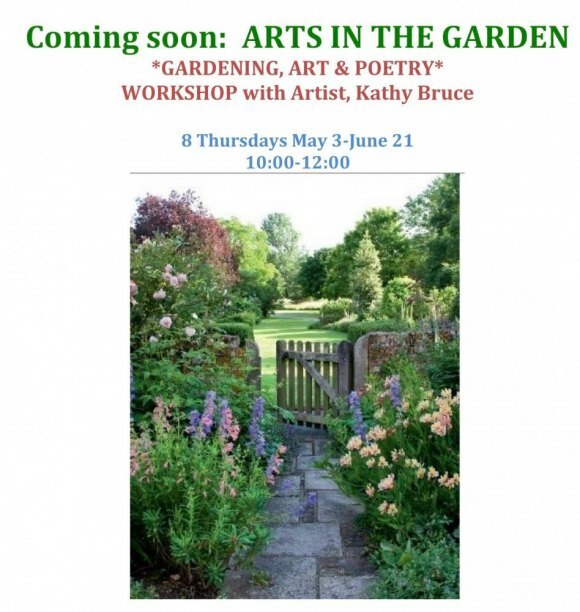 Arts in the Garden is a series of eight, 2-hour weekly outdoor workshops integrating art, poetry and gardening. These workshops take place on Thursday mornings from 10:00 to Noon during May-June in the Roosevelt Island Senior Center garden. Seniors will develop an expansive vision of gardens by writing poetry, creating sculptural planters and trellises combined with hands-on gardening skills. The sessions will be taught by teaching artist Kathy Bruce who will present new topics with different hands-on projects each week for 8 sessions that will allow new participants to join the group for any or all of the workshops. Alastair Noble, a guest artist will lead 2 of the workshops on the topic of writing poetry in the garden. He will work with seniors on developing their own written poetic responses to the natural garden environment. In addition, they will take students on a bus trip to the NYC Botanical Gardens to explore the gardens and landscape design up close. The goal of this fun educational program is to enrich seniors’ understanding of gardens by integrating basic garden planting skills with the arts: written (poetry) and visual (sculpture). To form this complete garden experience seniors will participate in basic garden projects from planting seeds and plants, to creating bamboo plant trellis’s, wind chimes and planter pot friends to decorate the Center’s garden, and finally, to write written poetic responses to their surrounding environment. In each case, the result will benefit the enjoyment and over-all quality of the environment for the entire senior community. The program will culminate in a garden tea and poetry reading by the seniors in which the public will be invited to the RI Center to enjoy the artwork, plantings and refreshments while listening to poetry outside in the garden setting.